Taking care of your Twin Disc engine is rarely a simple task. 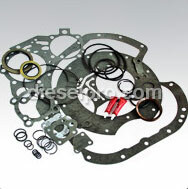 Even the easiest task of replacing one part can be a headache when you cannot find the right parts to for your engine. You may have attempted to find Twin Disc replacement parts in local stores in the past for various replacement and repair projects on your engine. However, if you are like most others, you may have had the unfortunate experience of being unable to find the part you need or finding out, after much time and effort, that the part you need is not in stock. 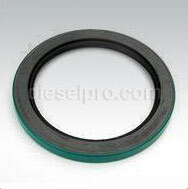 This is never the experience that you will have when you shop online with Diesel Pro Power. Whether you need to find quality Twin Disc MG5075 marine transmissions parts or other types of engine parts, you will always find what you need in stock and ready to ship to you within 24 hours of you placing your order. We carry an extensive selection of parts for the Twin Disc MG5075. 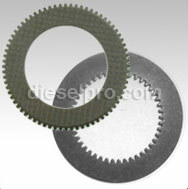 In fact, we are the largest provider of replacement parts online in the world. 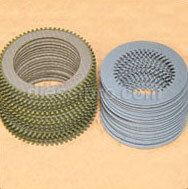 We carry everything from overhaul plates to oil filters. We offer shipping to customers worldwide, and we always strive to give you competitive rates on the products that you need. We want to take the time and effort out of finding the parts you need for your repair projects. In addition to keeping the parts you need in stock, we also have an easy-to-navigate website that takes the time out of shopping for your engine parts. When you are in the market to purchase Twin Disc parts for your repair projects, you can spend a few minutes searching for your parts right now. Within just a few minutes, you could have your order finalized and move onto other tasks that require your attention. Soon, your order will arrive at your door with no hassle or stress required. Put Diesel Pro Power to work for you today to enjoy the best shopping experience possible.